Round 16 of Super Rugby was supposed to be the one where the field thinned a bit further, but instead we may have just got more confusion. I mean, should we be worried about the Chiefs? And was it just a mere blip for the Hurricanes? The Waratahs made ground in the Australian conference by losing to the Lions in Johannesburg, in an interesting development. Just as interesting are their continued yellow card issues, and the further three-week suspension to Rob Horne for a tip tackle. As colleague Sam Bruce outlined on Tuesday, there's a time for aggression and there's a time for discipline, and the Waratahs seem to be overdoing the former at the expense of the latter. Here were a few other things to stand out in Round 16. I don't know how many times I've written about the Crusaders in this column in 2015, but I do know that it's been very up and down in the tone of what I've written. And here I go again, because those pesky Crusaders ... Just. Will. Not. Die! Except for the Red-and-Black faithful, I was among many - I'd expect - who naturally assumed the Hurricanes would put the final nail in the Crusaders' season. But nope, they had other ideas, and won in such a way that raised serious questions about the Hurricanes. So at the risk of going all Monty Python, it turns out the Crusaders are actually Black Knights, and the loss to the Waratahs in Sydney was a mere flesh wound! And like any team in mathematical territory, the equation for the Crusaders from here is to simply keep winning. 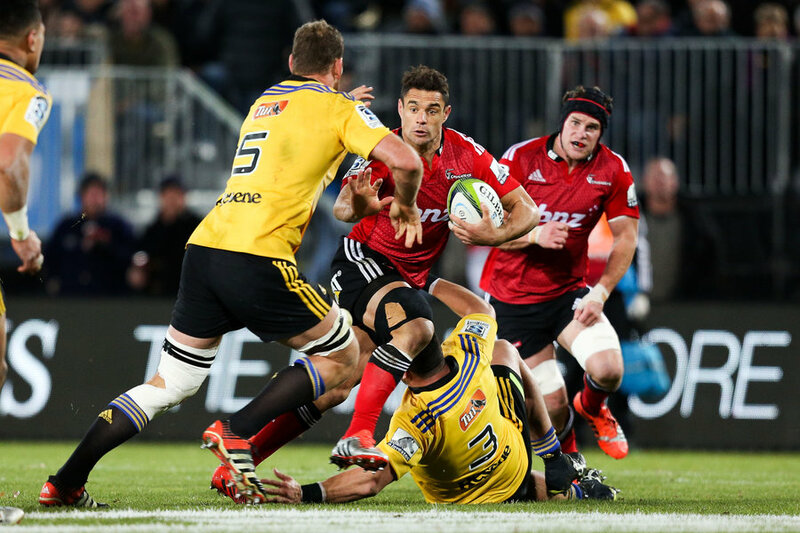 Mathematically, the Hurricanes (57) and Highlanders (48) are the only team the Crusaders (36pts) can't reach with two wins in their remaining games, so even a fifth place finish is theoretically achievable. Furthermore, if they can get to nine wins, the Crusaders have a better points differential than three of the four teams they can catch, and are only one differential point behind the Brumbies. And they've scored the most tries in the competition. And perhaps the best thing the Crusaders have going for them on this unlikely run to the playoffs is that Dan Carter is back in the No.10 jersey and playing well. Landing three early penalties gave him confidence, and by the second half, he was directing the team around like he'd been there all season. A firing Carter will be crucial for the ongoing life of the 2015 Crusade. And should they reach the finals, just remember, "The Black Knight ALWAYS TRIUMPHS!" The Highlanders: wrong week to rest? After the Highlanders knocked off the Chiefs in fairly emphatic style last Saturday, and on top of the Hurricanes hitting a wobble the night before, I couldn't help but let the mind wonder to what shapes as a stonking contest between the top New Zealand sides at McLean Park in Napier this Friday. Certainly, the Highlanders have the set piece game to push the 'Canes, and sit among the top few sides in the competition for lineout steals. 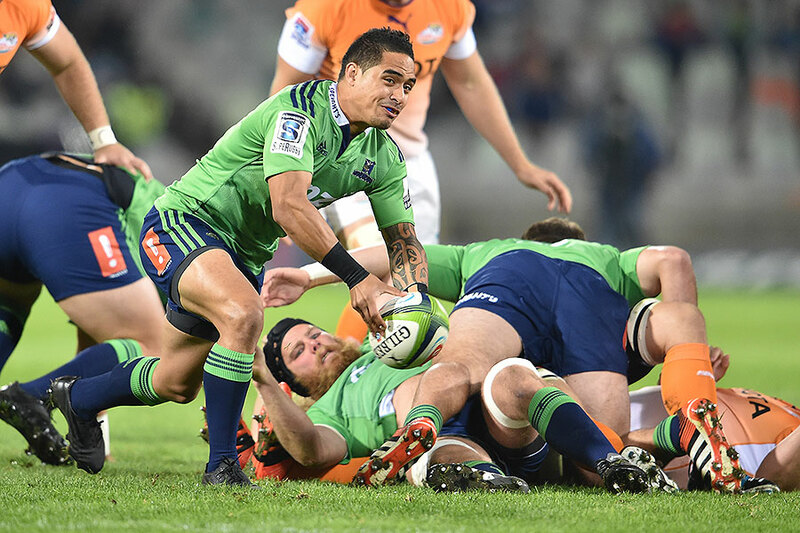 The Hurricanes' backline might look stronger on paper, but the Highlanders have topped plenty of well regarded backlines on the actual field this season. So it was interesting to see Jamie Joseph electing to use this weekend as the chance to fulfil his final resting requirement for his three All Blacks - Aaron and Ben Smith, and Malakai Fekitoa. With the smell of Hurricane blood in the water, surely this would've been the time to go in for the kill, before maybe having to do it again in the finals? And all in one go, too? He could have, say, rested Fekitoa this week while the Smiths shake down the Hurricanes, and then rested Aaron and Ben while unleashing Fekitoa on his former team, the Blues, the following week. Instead, all three will sit this one game out, just as he did against the Brumbies in late April. The Highlanders were promptly towelled up in the ANZAC Day clash, four tries to two. So has Joseph erred, or is he taking a calculated gamble that the wounded Hurricanes - with Beauden Barrett cleared to return - won't lose to anyone this week? Only Joseph himself will be able to answer that, and probably not until after the match. But I can't help but feel like a concession of sorts has been made. We discussed this week in the Scrum5 podcast that the Lions might just be everyone's third team this year, behind their own team and the Highlanders, and the little-team from-Johannesburg-that-could go into their final game of the season with the distinct possibility that they could top the South African conference by Sunday. But with the bye in Round 18, the Lions will then have to sit back and watch the following weekend, to find out if they've qualified for the first time ever as the Lions, and the first since the Cats were beaten by the Sharks in the 2001 semi-finals. So the big question is this: can the new-found Lions attack, the one that seemed at times to find ways through and around the Waratahs at will last weekend, find a way through one of the better defences in Super Rugby? The Stormers might not score many tries, but only two teams - the Chiefs and Brumbies - have conceded fewer tries in 2015. But the Lions' belief is strong, and knocking off more-fancied opponents is something they've done all year. A win over the Stormers would also complete their set of South African scalps for 2015. And in Jaco Kriel, they may just have the form player in the competition operating on the openside of their scrum. Kriel well and truly outpointed Michael Hooper last weekend, and was a major factor in the Lions winning as well as they did. If Kriel can replicate that performance against the Stormers this weekend, then you couldn't rule out a Lions upset.